I love the idea of mixing high end items along with more budget friendly items to keep your look on trend without costing a small fortune. So when I saw Gap's new line of stylish clutches, I knew this was the perfect example of showing just how to do it. 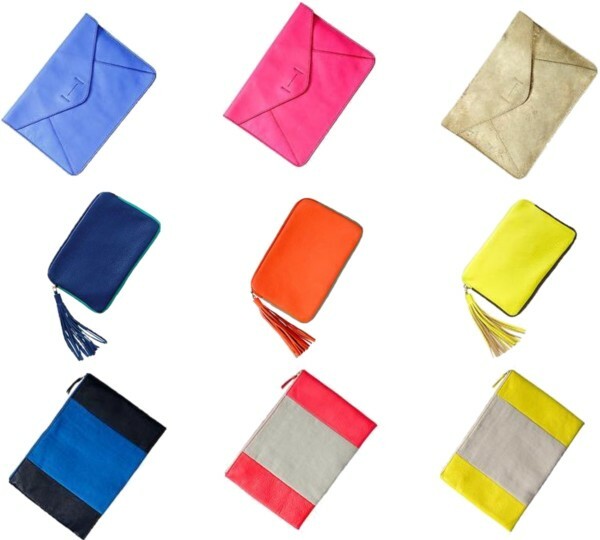 I just adore the selection bright colors, variety of styles with the over-sized envelope, petite zipper clutch with tassel and the beloved color-blocked. Which is your favorite??? Those are from the Gap?! AMAZING! I love the envelope-style! LOVE these! You're right, this really is clutch heaven. I would have to say that yellow colorblocked clutch is my favorite. So glad you stumbled upon these! Love the envelope style clutches!